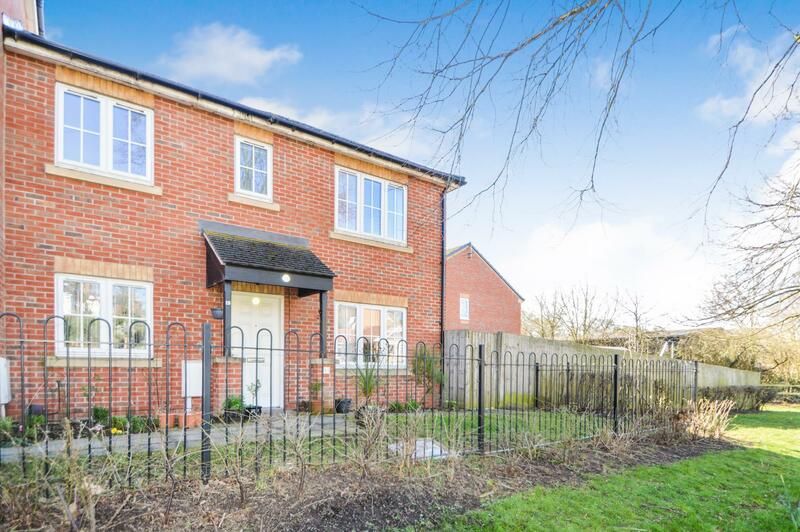 Benjamins are pleased to bring to the market this well proportioned three bedroom semi detached home in this much sought after location in Keyworth, close to local amenities including local shops, doctors surgery, regular public transport and a range of schools for all ages. Situated in a quiet location the property benefits from gas central heating and double glazing, the accommodation briefly comprises entrance hall, study, living room, downstairs wc and fitted kitchen. To the first floor there is a master bedroom with en-suite wet room, two further bedrooms and a family bathroom. Outside there is a small garden to the front of the property being set back from the road, rear paved patio area with access to allocated parking, and a good sized private enclosed side garden. With double glazed window to the front aspect, radiator, ceiling light fitting and carpet to flooring. With low level wc, radiator, ceiling light fitting and wash hand basin with tiled splashbacks. With double glazed window to the rear aspect. Fitted with a matching range of wall and base units with tiled splashbacks and work surfaces over, integrated electric oven and hob with extractor over, single drainer sink unit with mixer taps, plumbing for automatic washing machine and space for tumble drier and fridge freezer. Radiator, door to useful under stair storage, wall mounted central heating boiler and doors leading to the rear garden and living room. With dual aspect double glazed windows to the rear and the front aspects, two radiators, two ceiling light fittings and double glazed patio doors out onto the garden. With double glazed window to the rear aspect, radiator, built in cupboard housing water tank and door to the first floor accommodation. With double glazed window to the front aspect, radiator, ceiling light fitting and door to the wet room. With double glazed window to the front aspect. Fully tiled wall and floors, wall mounted electric shower, ceiling light fitting and white suite comprising corner inset wash hand basin with cupboard beneath and wc. With dual aspect double glazed windows to both the front and the side aspects, radiator, ceiling light fitting and carpet to flooring. With double glazed window to the rear aspect and radiator. 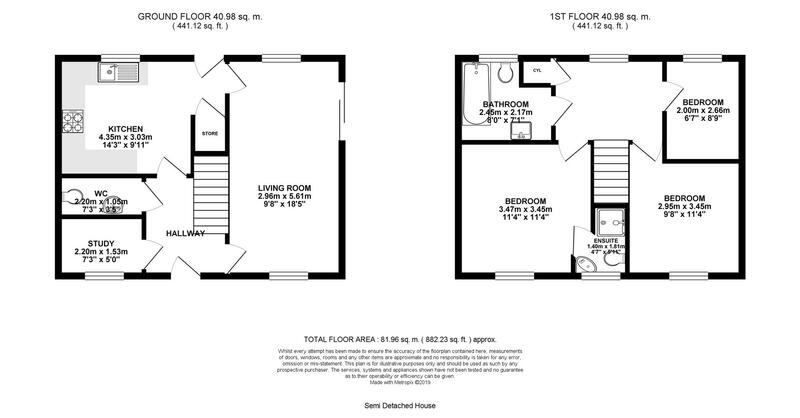 With double glazed window to the rear aspect, radiator, extractor fan, ceiling light fitting, shaver point and suite comprising panelled bath with electric shower over, wc and wash hand basin. To the front of the property there is small lawn with planted borders giving access to the front entrance door. To the rear of the property, is allocated parking space, a timber gate gives access to a paved patio area and a generous enclosed private side garden which is mainly laid to lawn with further patio area and timber garden shed. Please note this property is currently occupied under a shared ownership scheme. The amount advertised is for 100% share. A monthly service charge of £35.83 to include buildings insurance would be payable. For all further enquiries please contact the office on 0115 9374317.